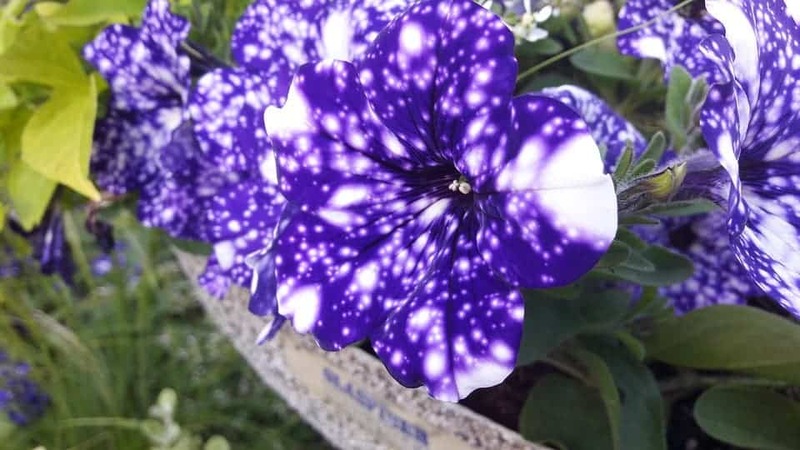 These flowers look like the cosmos. The striking purple or deep blue is riddled with white, star-like dots and blobs. 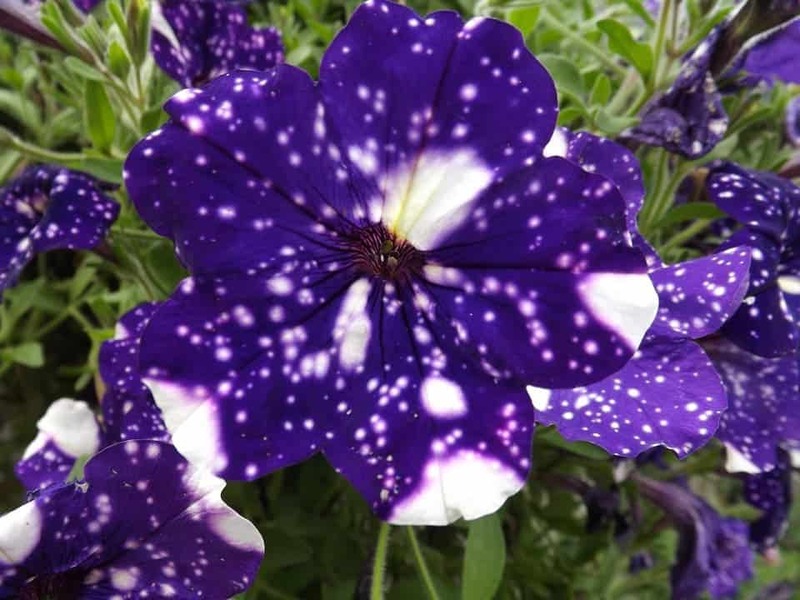 They’re called “Night Sky” petunias. There’s nothing cosmic about them though — they’re the result of earthly selection. These striking flowers are the result of many years of careful selection by Italian plant breeder Antonella Capo. Capo wanted to obtain a stable color pattern — although in that regard, he wasn’t exactly successful. The white pattern of these flowers isn’t constant — it only emerges when there’s a big temperature difference between day and night during the summer. 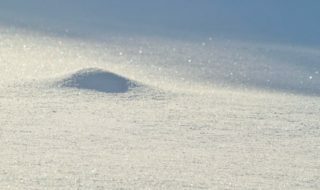 Basically, you need hot days above 24°C (75°F) and colder nights of around 17°C (63°F). When it’s hot during both the day and the night, the coloring becomes almost solid purple, and when the opposite happens, it moves towards white. So if you want to grow these plants, you need to pay a bit of attention with temperature (as with all petunias, really). The ideal temperatures for this plant are 14-24°C (57-75°F) during the day and 11-17°C (52-63°F) at night. This is a range of temperatures which is fairly common in many parts of the world. If grown properly, each unique plant features clusters of dark blue or purple flowers. 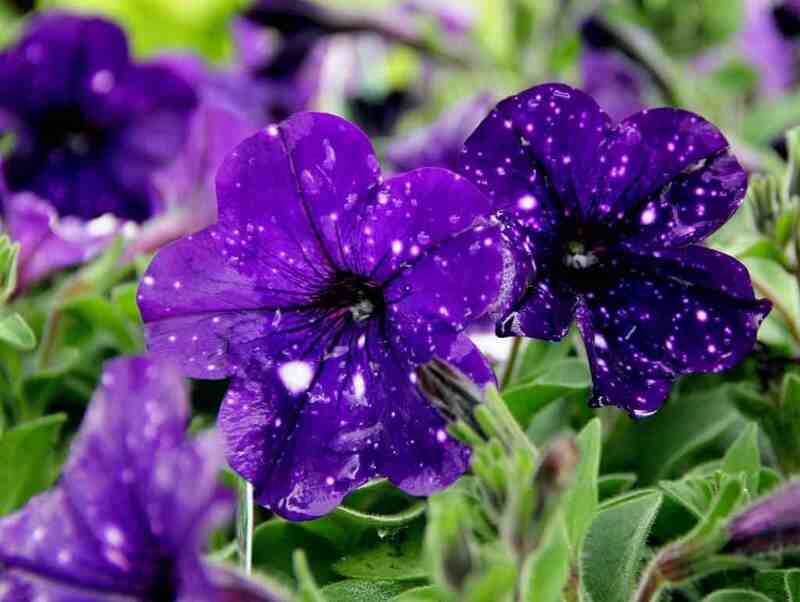 They’re regular petunias (Petunia cultivars), but they are a specific cultivar — not necessarily a different species or subspecies, but rather a different variety — think of it as a sort of plant breed. The plants multiply vegetatively, not through seeds — which essentially means that new plant grows from a fragment of the parent plant. 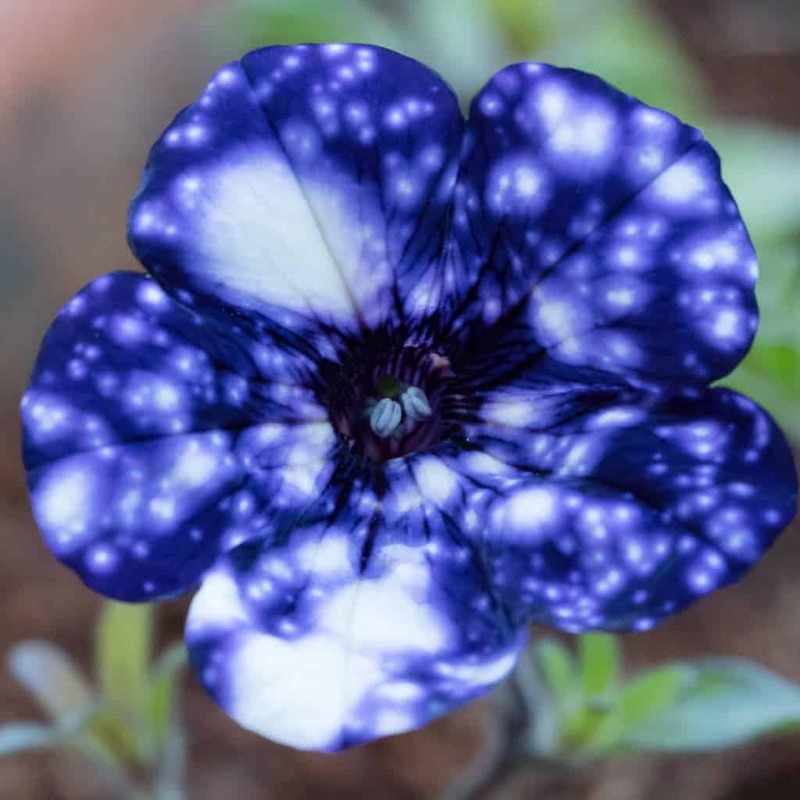 The Night Sky petunia won the prestigious Fleurostar award for the most stunning new plant of the year and is generally regarded as one of the most beautiful and spectacular plant varieties created in recent history.